According to information found in PT Indofood CBP Sukses Makmur Tbk Annual Report 2017 as cited by JobsCDC.com, Indofood CBP Noodles Divison continued to perform well in 2017. Indofood CBP Noodles Divison delivering total sales value growth of 2.5% to Rp23.11 trillion in 2017 from Rp22.54 trillion in 2016. 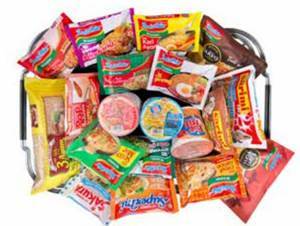 Indofood CBP Noodles Divison contributed 63.7% to the consolidated net sales of PT Indofood CBP Sukses Makmur Tbk in 2017. Referring to its annual report, total consolidated net sales of PT Indofood CBP Sukses Makmur Tbk in 2017 amounted to Rp35.61 trillion. Education background in SMK or D3 in Food Technology, Chemical or Biology. Minimum 1 year of experience in the field of quality control. The candidates with prior experience in the field of quality control in food industry is preferred. Able to coordinate with a team. Have a good knowlede of Quality Management System. Willing to be placed in Cibitung West Cikarang Bekasi. JobsCDC.com now available on android device. Download now on Google Play here. Please be aware of recruitment fraud. The entire stage of this selection process is free of charge. PT Indofood CBP Sukses Makmur Tbk - SMK, D3 QC Process Field Noodles Division ICBP November 2018 will never ask for fees or upfront payments for any purposes during the recruitment process such as transportation and accommodation.